Hi, my name is Dina. I’m a traveler, have been on the road since April 2009. I started taking photos with my modest waterproof pocket digital camera at first, just so we don’t forget of where we’ve been and what we did. Later on, as we move, I want to be able to capture the memory, not only as a description and information, but also the mood and the feeling. I’ve becoming more and more interested with photography and photo post-processing. This is my photography learning records, as I go. This is a practical guide to shot and to process, not a technical textbook or Wikipedia articles. This site is good for you if you are interested in photography and photo post processing, but don’t know where to start. What can you find here? Simple tips and tricks to enhance your photo in a given situation, to advanced methods that make your photographs look pro. I’ll be happy to answer questions that you have regarding photography, just write in the comment form of related article. 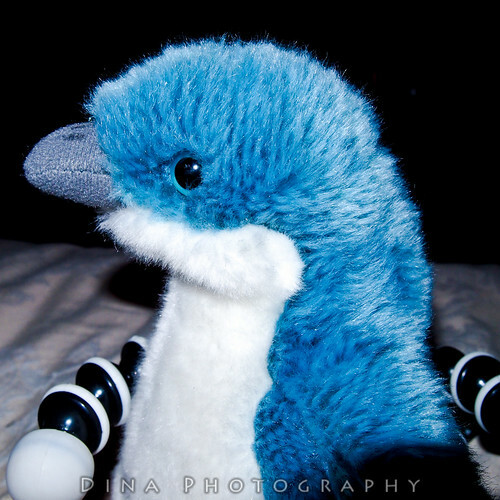 I lied, I’m a blue penguin, and my name is Oamaru.